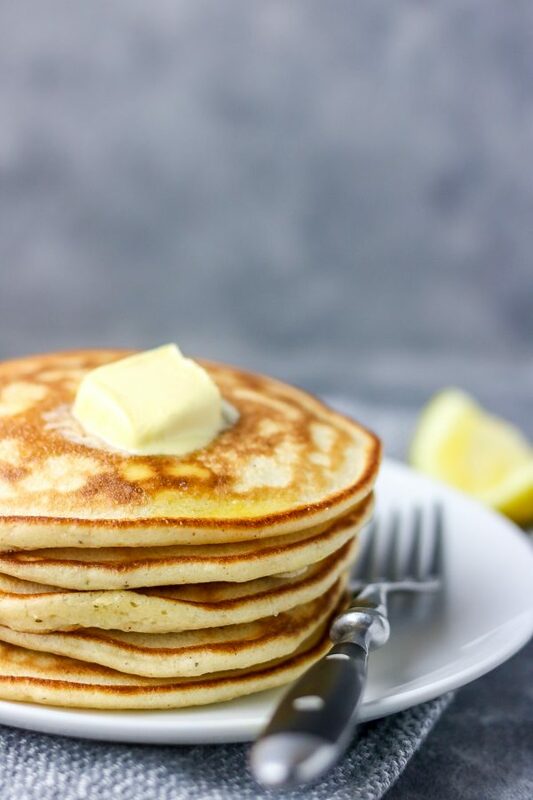 Nigerian pancake, saving lives since 1900… I was surfing the internet a while ago and stumbled upon a food called ‘hot cake’ I quickly clicked on the recipe to learn more but alas, it was pancake in some other fancy name. 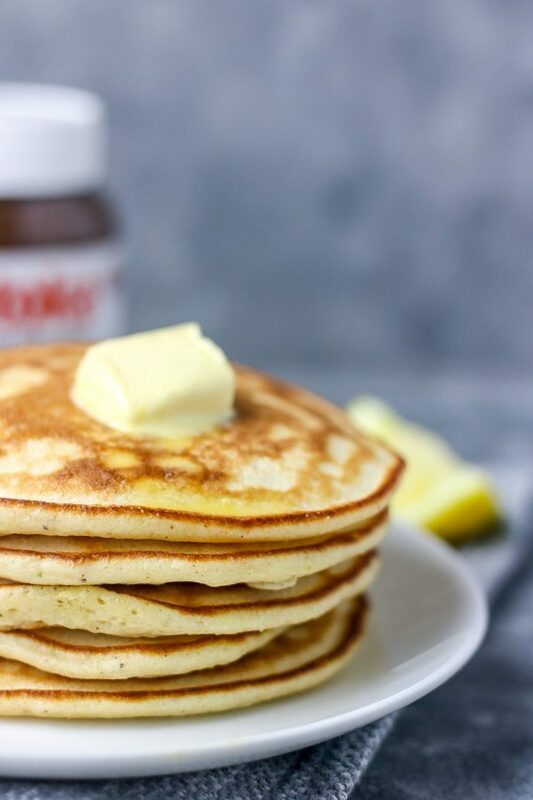 So next time you come across these words- hotcake, flapjacks, johnnycakes and griddle cakes, know that it means the same as the pancake you and I know. In Nigeria, we love to put our spin and stamp on most of our borrowed foods, I know some people add chopped onions and other many other things to their pancakes but it is a NO NO for me. The best pancakes I have eaten are made with just cayenne pepper and nutmeg and I’m not sure I’m willing to try the onion version. I sometimes do make sides for pancakes; In fact, my portion of these fluffy pancakes was eaten with fish stew. I know I’m bush like that but I tell you, it was yummy and 3 pieces were murdered before the end of the whole process. This is my first time using a blender to make pancakes and I found it stress free and fun too. You add all the ingredients to a blender and leave it to do its thing for a minute or two. Honestly, these pancakes tasted just like cake. It is airy and fluffy almost like a sponge cake. 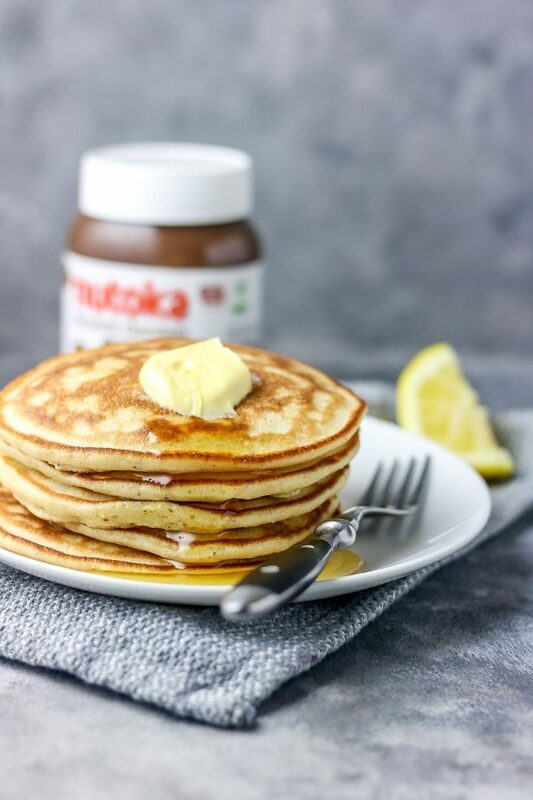 If you are not a fan of American styled pancake (crepe), add more milk/water to your batter to make it lighter and flatter when pan-caking, also reduce the amount of baking powder used by half to help keep the pancake flat. If you don’t have a blender, add the flour, sugar, salt, nutmeg, baking powder and chilli flakes to a bowl and mix together. In another bowl, add eggs, milk and melted butter together and whisk till well combined. Add the dry and wet ingredients together and rest for 5 minutes. To make the best pancakes, I’ll advise you to use oil instead of butter. 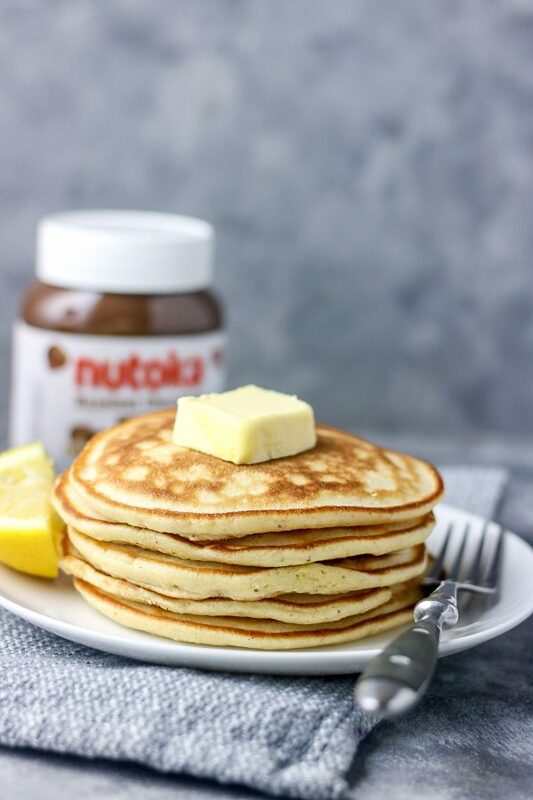 Butter tends to burn quickly and that can affect the overall taste of the pancake. Place a frying pan on medium-low heat, add about half a teaspoon of oil and swirl around the pan. Using a scoop, pour the pancake batter into the oil and fry for about a minute on each side. 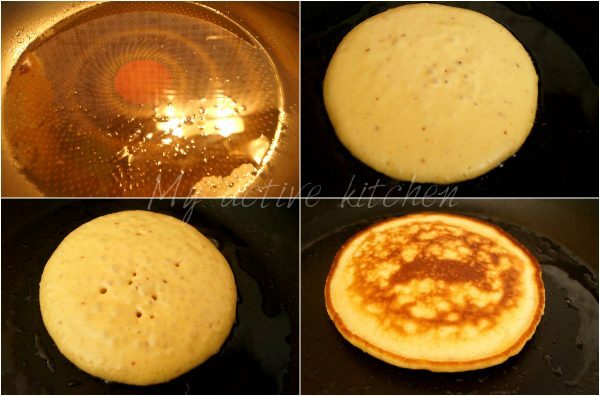 The pancake is ready to be flipped if it starts bubbling and the edges are easy to lift. Repeat this process till you have exhausted the batter. Serve your pancake with maple syrup, honey or fruits of choice. 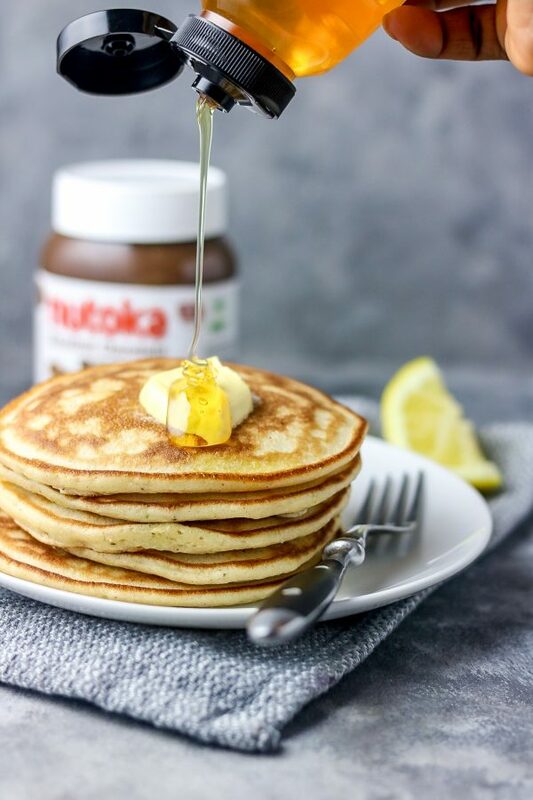 This simple and fluffy pancake is very easy to make, it is mess-free as I used blender in mixing all the ingredients. Above all, it is very delicious and you can use any topping of choice. Place a frying pan on medium-low heat, add about half a teaspoon of oil and swirl around the pan alternatively, use oil spray. Using a scoop, pour the pancake batter into the pan and cook for about a minute on each side. The pancake is ready to be flipped if it starts bubbling and the edges are easy to lift. Repeat this process till you have exhausted the batter. Serve your pancake with maple syrup, honey, fruits or another topping of choice. This recipe was originally published in August 2015 but now updated with new photos and recipe card. Thanks for the feedback, happy to hear it turned out great. Hi, thank you so much. I tried your pancake recipe this morning. It was awesome! 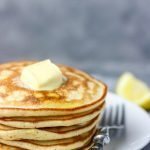 I’ve never really loved pancake but I had to learn for my husband who loves them. The taste and texture was so good I had to eat one. My pancakes always taste a little bit bitter, I reduced the amount of baking powder I use but then it came out flat and the bitter taste is gone. Anything i can add to make it fluffier?Also I do not mix evaporated milk with water, I use it as it comes. @haywhy….I think it’s dry pepper that’s ground with a blender…. Dunno Sha… Juss thinking ooo.. Ajoke I’m I correct? God bless you for this pancake recipe. Haywhy, yes, use oil to fry instead of butter. chilli flakes is ata gbibge (crushed ata ijosi) I hope that helps and thanks for stopping by.